Is it okay to toot our own horn just a little? The Fran Campbell Team was has been awarded with several honors by RE/MAX and we're just darn proud of it! Here's a quick summary of why you are absolutely working with the best real estate team at Lake of the Ozarks when you choose the Fran Campbell team. The Fran Campbell Team has achieved these RE/MAX Club Awards Levels through the years! 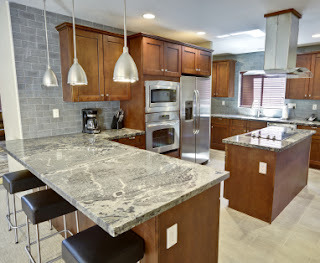 4B Regatta BayLake Ozark, MO 65049MLS#:3082582Price:199,500Bedrooms: 3Full Bathrooms: 3Half Bathrooms: 0Ready to move in to penthouse with Eastern Exposure and awesome views. Open floor plan w/vaulted ceilings allows lake views from living, kitchen, dining & master. Spacious living room w/corner fireplace. Updated kitchen has new counters, sink, faucet, cabinet hardware, lighting & newer SS appliances. Master bath recently remodeled w/separate vanities, corner jetted tub, separate shower & walk in closet. Deck for outdoor entertaining. Comes with 12x30 slip and most furnishings. Make your lake dreams come true with this wonderful condo. It's official, Spring has arrived!!! Throw open those windows, let the cool breeze filter through your rooms and enjoy the fresh clean feeling throughout your home. There is something about that cool spring breeze that reminds you that you have some work to do. Spring Cleaning...it brings so much satisfaction but at the hefty investment of a lot of sweat equity. How can one task bring so much grumbling and gratification at the same time? One way to keep the grumbling low and the gratification high, is to get organized - because we all know that before it gets better, it has to get worse. It may not make the task enjoyable, but organization will help you be efficient and effective. Below is the Fran Campbell Team'sSpring Cleaning check list to help you get your home or condo sparkling clean. It's that time of year! 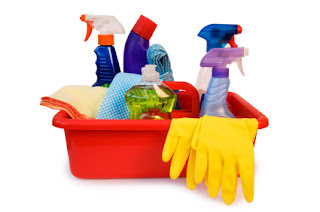 Time to take the winter doldrums from your home with a good Spring cleaning. Whether you are planning to sell your Lake of the Ozarks home this Spring, or live in it for another 20 years, a good top to bottom cleaning will breathe new life into your beautiful abode. We'll be writing a short series of articles on Spring cleaning tips over the next couple of weeks. The perfect way to kick off the series is with a Spring cleaning supplies checklist. Simply print our checklist, survey what items you already have, then head to your local grocery or home improvement store to pick up the rest. Then, you'll be ready to go as our next articles are published!